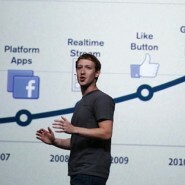 Home » Blog » Can the Facebook Timeline Create Opportunities? Can the Facebook Timeline Create Opportunities? 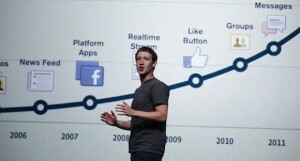 The mother of all social media had just unveiled its latest tweak in the Facebook Timeline. Many users, enchanted by the novelty of it, have welcomed it with open arms and jumped right in to check what it can do. Other users are already moaning from the pain of being bitten on the back. Regardless of the user response, Facebook has, no doubt, caused a stir with this new development. Aside from de-cluttering everyone’s Facebook profile pages, the Timeline is akin to having your personal paparazzi tracking your every move—on the web or while using an app. Activating the feature would make the Like button or icon so last year. By clicking the “Add to Timeline” you find on an app or website, you are opening the floodgates of having all your activities within those locations monitored and fed on your page without further action. This automatic posting feature would definitely speed up the updates on your profile and can create interesting conversation topics on your wall, fueling for more social interaction with your friends. The more generous sharing of visited sites and apps has its drawbacks as well. The operative word here is “automatic”. Because you only need to activate the feature on a website once, it will be easy to forget that it is even there, trailing after your click and plastering it on your page before you can even finish watching that video or reading the news article. This means that even if the content you are browsing through are tame and rated E, you boss and your grandmother vacationing in Hawaii, plus your every friend in between, will all see what you are “snacking on” at the moment. It would be interesting to see how savvy business marketing professionals will use this new feature to their advantage. If you own a website or an app, adding the feature would be a given as the chance for your blogs or videos to go viral in a seconds is just too tempting to pass up. In anticipation for the marketing possibilities ahead, business owners should now be bumping up their sites and apps with optimizing tools to generate more visits and with the goal of landing on everyone’s Facebook Timeline.